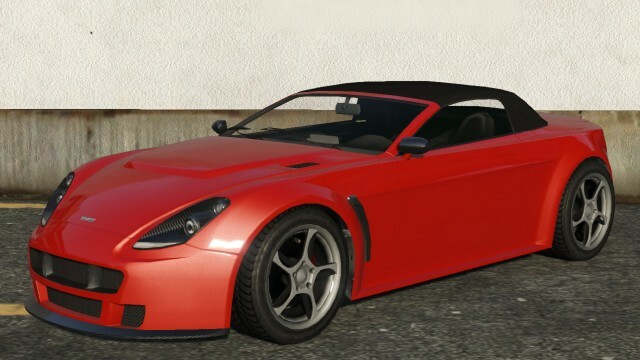 The Dewbauchee Rapid GT is a sports car in GTA 5. It is based on the Aston Martin V8 Vantage Roadster, with the front of a Ferrari California. Rapid GT has large drilled brake rotors that are coupled to brake calipers red six-piston mounted to the rear wheel. The car is capable of spitting flames from their exhaust tips as a result of the gases ignited in the exhaust system. The face behind the design of The Rapid GT has an aggressive style. Rear lights sit impressed from the rear face, a short distance from the top. The rear light is divided into three parts, the top and bottom have a red light, orange light has a central part and closest to the center, white lighting. The manufacturer logo in the center is located just below the edge of the area that impressed. On the rear bumper, parallel to the inside edge of the rear lights there are areas where plates fitted impressed. Blow this area three-quarters of the width of the bumper diffuser unit occupied by CFRP. Both sides of this unit there are stacked twin-tip exhaust tips located in the vents, the inner edges parallel to the outer edge of the diffuser. Note Spawn able through cheats as well ( ps3 cheats / Xbox 360 cheats ). Exhaust, Chassis, Spoiler, Turbo, Hood. Aston Martin V8/V12 Vantage, Ferrari California. 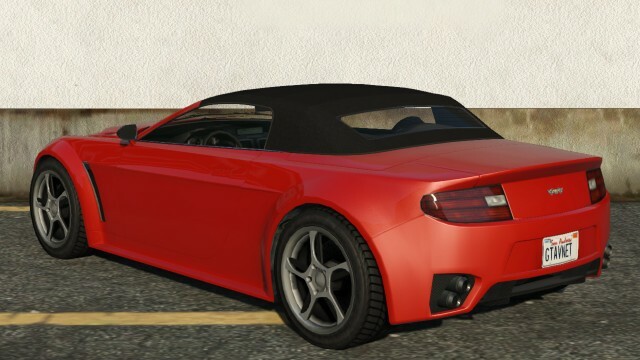 The car often spawns in Rockford Hills and Vinewood Hills. Sometimes spawns in the countryside, specifically Paleto Bay. Spawns outside Solomon Richards’ studio before and during the Legal Trouble mission along with a Carbonizzare and a Surano. Can be spawned with the cheat code button combination.